Waterex Australia has been supplying equipment to agricultural enterprises since our first few years of operation. However our experience with agricultural water treatment started long before Waterex moved to Australia. We have supplied small plants and large. We have serviced small family farms and large corporate holdings. Since our foundation we have been involved in treating water for irrigation, stock watering, wash-down facilities and water recycle plants. Waterex has been supplying screens for irrigation systems ensuring sprays and drippers do not clog. We supply both Y strainers and the fully automatic Kleerflo strainers. With our South African partners Valve & Allied, Kleerflo strainers have been used successfully in this application for over 20 years. Some of our clients have also been concerned about contaminants including: salt, iron and arsenic. Common problems include iron blockages in drippers and unsuitable water for crop or stock watering. Waterex has supplied a variety of filtration plants to meet and solve these water quality problems. Waterex has been treating vehicle wash-down water for many years. We have proven oil/grease/fat removal technology. Waterex offers biological and bacterial decontamination systems in compliance with best practices. Waterex has successfully installed these plants in numerous locations worldwide to meet any sterilisation requirements. 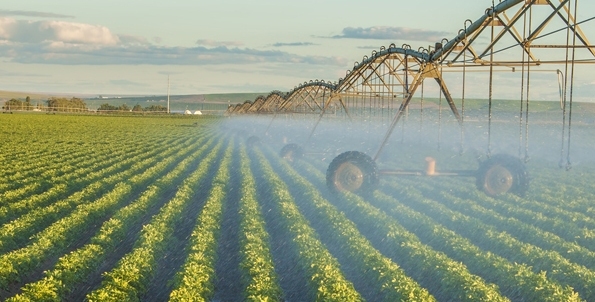 Situations in agriculture require many different dosing solutions. Waterex has supplied plants to dose liquid, fertilisers, biocides, herbicides and various chemical and powder based feedstocks. Waterex specialises in recycling water for reuse. Tailoring a system to suit any application Waterex has supplied many different products to meet client water demand. Waterex has supplied equipment to tanneries, abattoirs, rendering plants, bottling plants and aquaculture farms. For these related industries Waterex has removed fats and greases, dyes and colours, wools and fibres. We have sterilised, dosed, cooled and oxygenated water. To optimse and manage water use on your property, contact us.